Scriptures indicate that around the age of 30, Jesus began His public ministry by going to the Jordan River to be baptized. This was not because He needed to be, but was out of His profound desire to share in our humanity. From that day forward, the mix of Christ’s unparalleled power and unequaled compassion characterized His public ministry. Both of these attributes were manifested simultaneously in the many miracles Jesus performed as ministering among the people. The miracles played a significant role in revealing the wonders of God and His Son. Jesus’ sweeping miracles were epic in their scale—calming stormy seas with a simple verbal command, walking on water to reach His fearful disciples, and feeding thousands of hungry followers with only 5 loaves and 2 fish. These miracles were so incredible in scale that it can be easy for us to think of them almost as folklore as opposed to the very real and active presence of God in our physical world. 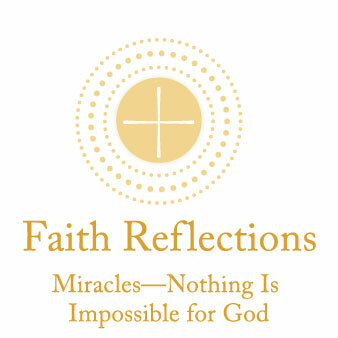 The miracles continue to serve an important purpose today as references reminding us of what is possible with God. Jesus also performed miracles on a more individual scale. These displayed just as potent a mix of power and compassion as His epic-scale miracles. There is often a personal directness to these miracles that we can identify with more easily and feel in our soul. There was the healing of a paralyzed man, lowered on a stretcher through a roof, since that’s what it took to get him in front of Jesus; the cleansing of a leper; and the cleansing of 10 lepers with a special focus on the only one who returned to Jesus in gratitude. It is wonderfully staggering that Jesus—with all He had looming in front of Him—would take the time to connect with singular individuals from within a crowd. He had the compassion to hear them, to feel their need and their faith, and to truly love them. Who of us hasn’t thought, at some point in our life, how lucky those people were to meet Jesus and be in His focus? These very personal miracles emphasize the importance of our faith, the love of Christ, and the power of God.